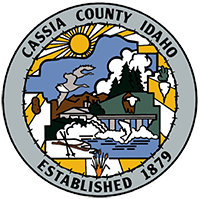 The Mini-Cassia Juvenile Probation Department is a dual-county effort providing services to youthful offenders and their families in Minidoka and Cassia counties, with one Magistrate Judge presiding over all court cases falling within the purview of the Idaho Juvenile Corrections Act. An Executive Board of elected county officials from both counties oversees the entire program, which has its focus on the Balanced Approach theory of community safety, youth accountability and competency development. This department currently has 11 employees. There are two field offices --- the Cassia County office is housed in the old Cassia County Courthouse at Burley, Idaho, while the Minidoka County office is located at 614 7th Street (P.O. Box 368) in Rupert, Idaho. Respect and Integrity ~ We treat those we serve and one another with respect, and in so doing, demonstrate honesty, integrity, trust, and ethical behaviors. Teamwork ~ We recognize that the power of our combined effort exceeds what we can accomplish individually. Communication ~ We will maintain relationships within Juvenile Services and the community which will promote mutual respect and improve the quality of all services. Excellence and Quality ~ We are committed to deliver quality and excellence in every aspect of our work, and will establish goals and monitor outcomes. Individual Development ~ We value new ideas which enhance our services and we are dedicated to providing training opportunities that will maximize employee performance.